Scorpio natives find Libra to be very romantic, mysterious. Alongside Libra, you become more creative, more concerned about the theater, cultural events, a creative revolution. When Venus and Pluto combine, you experience some anxiety, discovery, romance, independence. Libra is on matters related to the secret fears and doubts. Be aware that you are very different compared to Libra, and some of the opinions or views may be opposed. But you are fascinated, and also willing to learn. 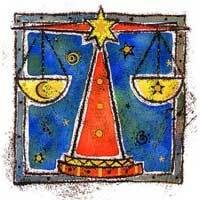 You can get along very well with Libra, and you will open you views for new concepts. Libra makes you see what is behind the curtain, appreciate the subtleties, and become romantic. But neither you nor Libra is perfect. However, there is a chemistry that could support a permanent attraction. The Pluto and Venus combination is an unusual joining of beauty and power, but it's difficult to maintain. 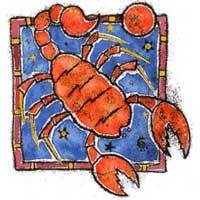 Scorpio's intensity is taken to a new level, a more human and fun one, due to association with Libra. This relationship is great only when it comes to movies, theater and television. Outside these areas, it's favorable for group activities, organizations or charity. Daily horoscope, compatibilities and relationships is provided for entertainment purposes only. Your daily horoscope page is updated each day at 12.00am GMT.